GardenMasters will perform an irrigation review of all your zones to make sure the system is running properly and that the controller has adequate watering run times, start times, and the designated watering days mandated by the your water district (minimum twice a week). A 5 Point Irrigation Review will be performed prior to any Hydretain application. Inspection does not include irrigation repairs. 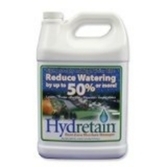 Note: You must reside in our Service Area for Hydretain application. When should Hydretain be applied? Hydretain can be applied anytime during a plant’s life cycle. 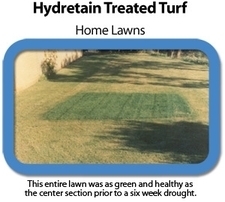 However, the best time to apply Hydretain is before hot dry weather or drought conditions set in. How long does Hydretain last? How often should it be applied? Hydretain lasts up to 3 months before it biodegrades. Re-­apply at least once every three months or more often for even greater water conservation. Is Hydretain safe? Is it toxic? Will it harm my pets? Hydretain is primarily made from food-­grade ingredients and natural plant extracts. It is non-­toxic. It will not harm your pets.